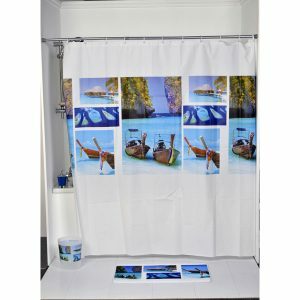 MATCHING collection: Complete your decoration with other products of the same collection Faience, like bath mat, tumbler, soap dispenser, toilet seat or trash can to name a few. 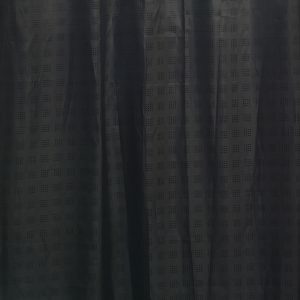 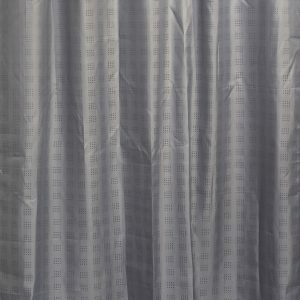 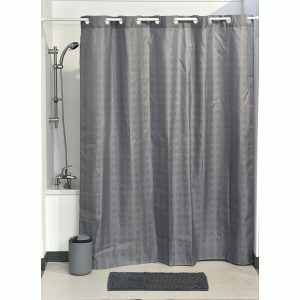 WATERPROOF: water repellent, keeps water in the shower, small water beads from across the curtain, affording gentle water removal and swift curtain drying. 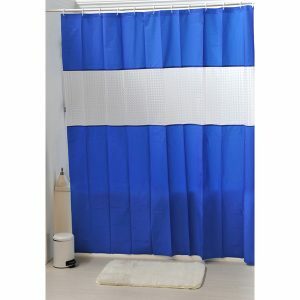 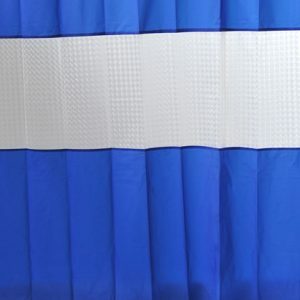 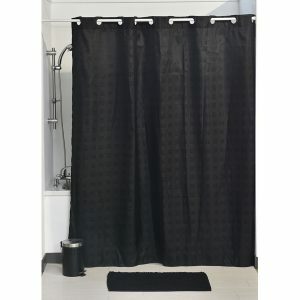 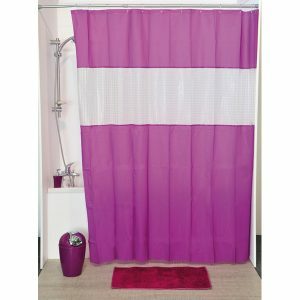 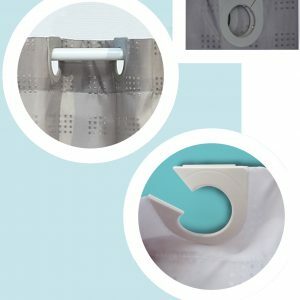 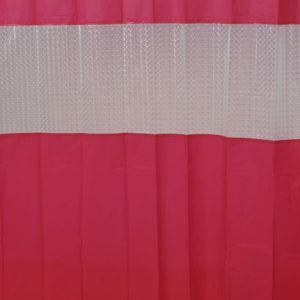 WATER REPELLENT AND MACHINE WASHABLE: keeps water in the shower-not on the floor.Water glides off and the curtain dries quickly.Hangers are made of plastic making this shower curtain machine washable. 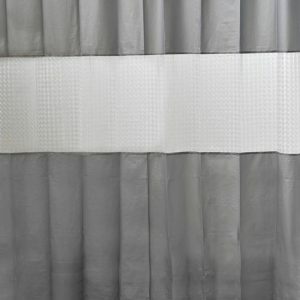 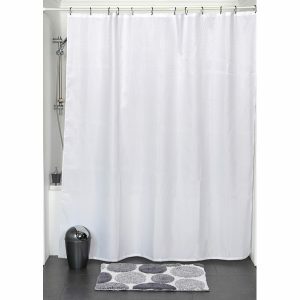 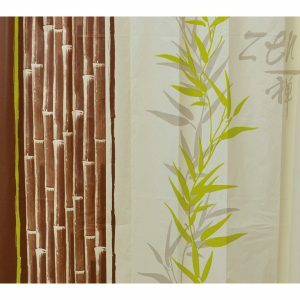 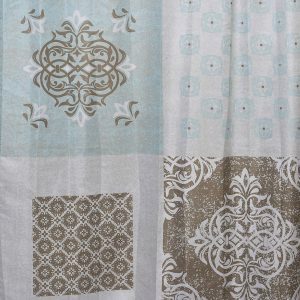 This printed shower curtain JADE for bathrooms is in polyester, tissue effect. 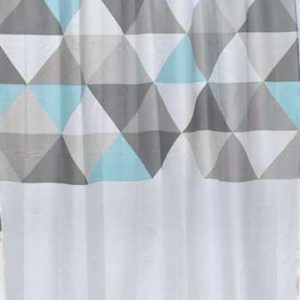 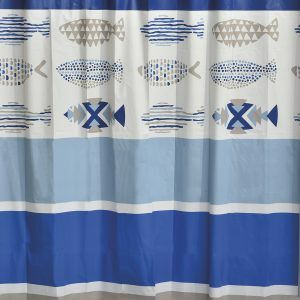 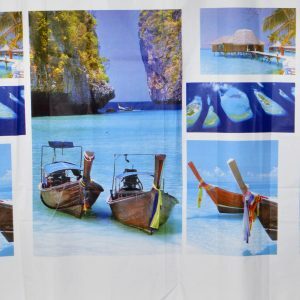 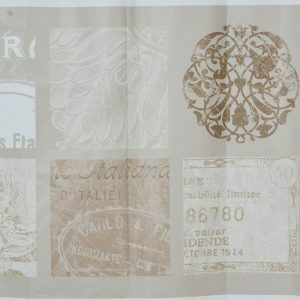 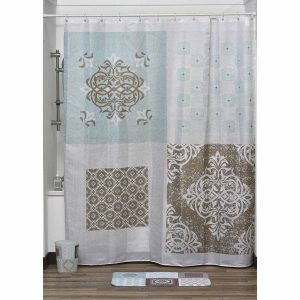 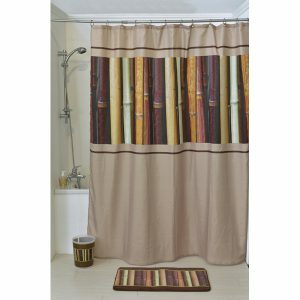 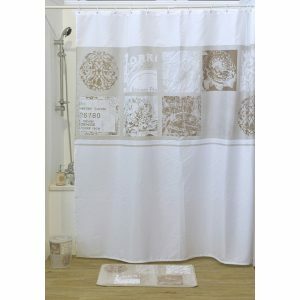 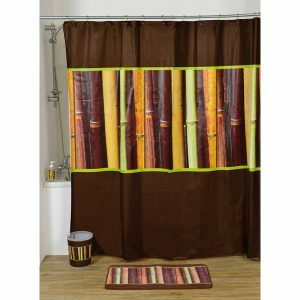 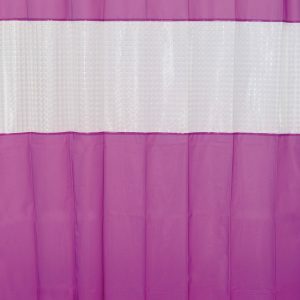 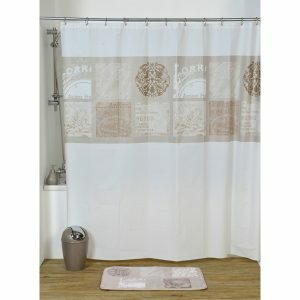 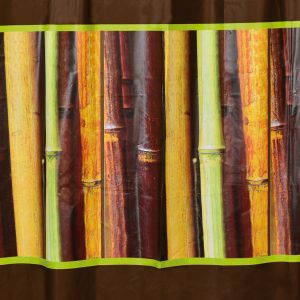 This printed shower curtain JAVA for bathrooms is in polyester, tissue effect. 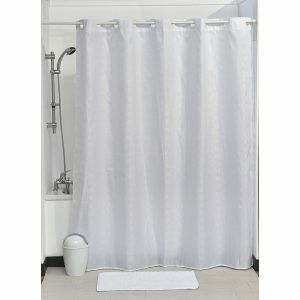 Luxury white Fabric Shower Curtain Polyester with shiny rhinestones-encrusted, it looks like real diamonds! 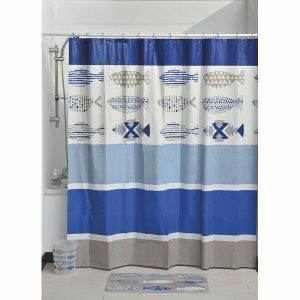 Complete your decoration with other products of the same collection Nautical, like bath mat, tumbler, soap dispenser, toilet seat or trash can to name a few. 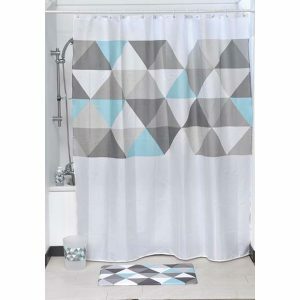 MATCHING collection: Complete your decoration with other products of the same collection Nordik, like bath mat, tumbler, soap dispenser, toilet seat or trash can to name a few. 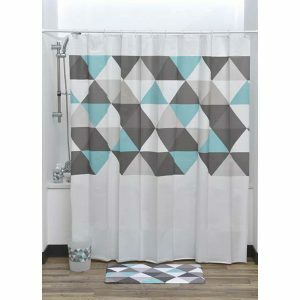 NORDIK DESIGN: Enjoy the scandivanian touch with this Nordik geometric patterned shower curtain which can add freshness to your bathroom. 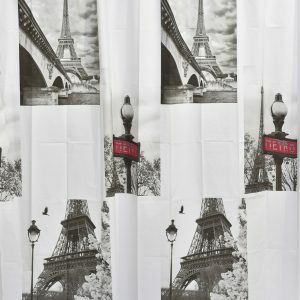 Complete your decoration with other products of the same collection PARIS CITY, like bath mat, tumbler, soap dispenser, toilet seat or trash can to name a few.